Do you use the Liver Decompensation Risk Score and want to contribute your expertise? Join our contributor team! Portal hypertension = at least F1 esophageal varices (i.e., small and straight) on endoscopy OR platelets <100,000/μL with splenomegaly (>12 cm diameter). 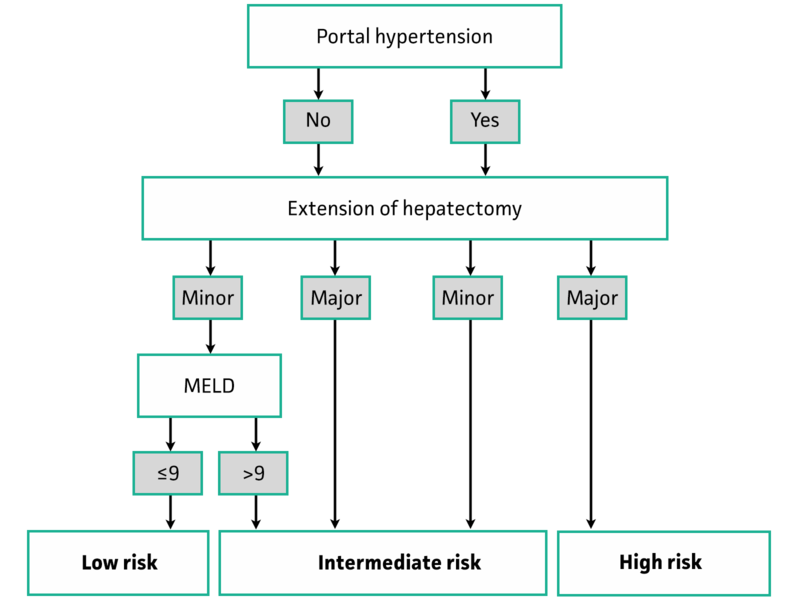 Extension of hepatectomy: major resection = removal of ≥3 adjacent segments. Citterio D, Facciorusso A, Sposito C, Rota R, Bhoori S, Mazzaferro V. Hierarchic Interaction of Factors Associated With Liver Decompensation After Resection for Hepatocellular Carcinoma. JAMA Surg. 2016;151(9):846-53. Vincenzo Mazzaferro, MD, is a professor of medicine and director of the Gastrointestinal and Hepato-Pancreatic Surgery and Liver Transplantation Unit at the Istituto Nazionale dei Tumori in Milan, Italy. He is an avid researcher of liver transplantation and studies treatment of metastatic cancers to the liver and novel treatments of tumors. Dr. Mazzaferro’s research group was responsible for the development of the Milan Criteria, which has been adopted as a transplant guideline in many countries.